Specializing in designing and remodeling high quality beautiful custom kitchens. Combining stunning beauty with functionality. Multi-unit property renovations. Hotels, Motels, apartments buildings, dormitories, and elderly multi-unit housing facilities. Specializing in bathroom and home accessibility remodeling. Creative Bath designs exquisite affordable bathroom remodeling projects. Samson Jagger Construction, LLC. The parent company of Creative Bath Systems, Creative Custom Kitchens, and Creative Access, was founded using family practices and fundamentals handed down from generation to generation. Samson Jagger Construction, LLC. Is a local family owned company-serving Ohio. We try to create the same family feel with our trusted team of designers, installers, and craftsman. Samson Jagger Construction, LLC. 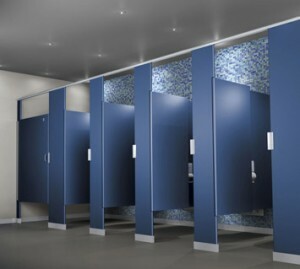 Has been designing and remodeling large commercial projects, multi unit bath remodeling projects, updating office public restrooms, bathroom partitions, ADA bathroom renovations for commercial properties, and much more. Creative Custom Kitchen a division of Samson Jagger Construction, LLC. Specializes in custom kitchen remodeling. Our designers can help design the kitchen you have always dreamed of. Remodeling your kitchen is a smart investment. Your kitchen is the second most used room of your house after your bathroom. Your Kitchen is the room that houses most of your entertaining. Let Creative Custom Kitchens help with the design and transformation of your dream kitchen. We carry many different quality manufactures for kitchen cabinets, handle hardware, tile or stone backsplashes, granite or solid surface countertops, sink fixtures, and sink options to transform your kitchen into the luxury centerpiece of your home. Weather your updating a few items in your kitchen or doing a full remodel Creative Custom Kitchens will apply the same attention to detail to meet our clients high expectations of customer service. Creative Bath Systems / Creative – Access a division of Samson Jagger Construction, LLC. Specializes in Accessible bath, home modification, and Bathroom remodeling. We work with homeowners to help design and assess what is needed to help to stay in the home you love. We can provide and install barrier free showers, tub to shower conversions walk-in bathtubs, grab bars, door widening, wheelchair ramps, and other bath & home modifications. Creative Bath Systems specializes in tub liners, wall surrounds, custom tile showers, and tub units, flooring, vanity replacements, and other bathroom remodeling projects. We will go above and beyond to ensure your satisfaction.